These days, CEOs aren’t fretting over their fine lines, but are more interested in the state of their smile. Executive Esthetic Dentistry has become increasingly popular as a Cosmetic Dentistry option for executives at a high-level. The 123Dentist Community Dentist Network member Maple Place Dental Centre in Maple Ridge offers dental procedures that will give you the smile you deserve to help achieve your work and business goals. In a recent Forbes magazine article, Executive Smile Makeovers were a prominent feature. Having a smile you can be proud of gives you the self-confidence you need to succeed in the business world. Many executives like being at the center of everything, but they seem to be more subtle when choosing a new smile. 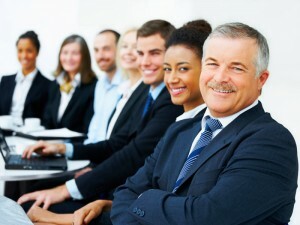 The look that executives lean towards is natural and youthful. With advanced Cosmetic Dentistry procedures from Maple Place Dental, your smile will help you appear younger, and give a more professional appearance when dealing with clients or prospective clients. If your smile has become stained or discolored over time, Executive Restorations for patients at Maple Place Dental Centre in Maple Ridge are more successful when Veneers or Crowns are used. These Cosmetic Dentistry procedures can be utilized depending on how much healthy tooth a patient has and whatever their desired outcome may be. One great thing about Cosmetic Dentistry is the ability for dentists to make each procedure individual and customized for every unique patient. A customized smile makeover is possible because of recent advancements in dentist technique and smile design, dental materials used, and state-of-the-art dental technology. Whatever your smile makeover aspirations, 123dentist.com Community Dentist Network Member Maple Place Dental in Maple Ridge can help you create the smile you’ve been looking for. Visit their the Maple Place Dental website for more information or call 604-466-2933 today.